Need a gift for that special someone, but have a tight budget? We’re here to help! Nothing is better than a hand-made gift for someone you love. Spending only $1, we were able to make this adorable gift! 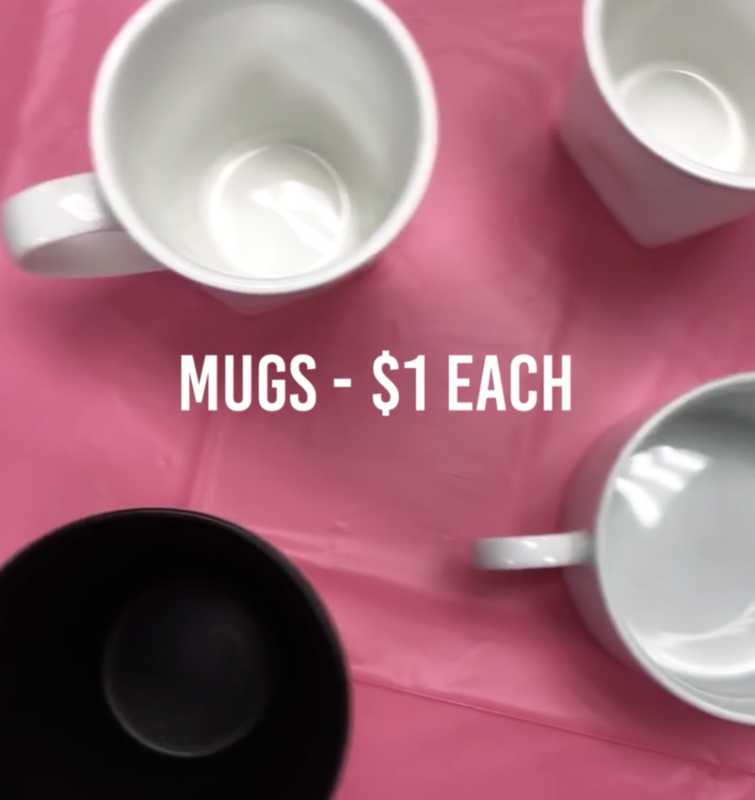 To kick-off this quirky project, you will need coffee mugs! We found some pretty easily at the flea market for only $1. They had a lot to choose from, but we ended up picking plain white ones, so it was easier to see the marker when we drew on them later. 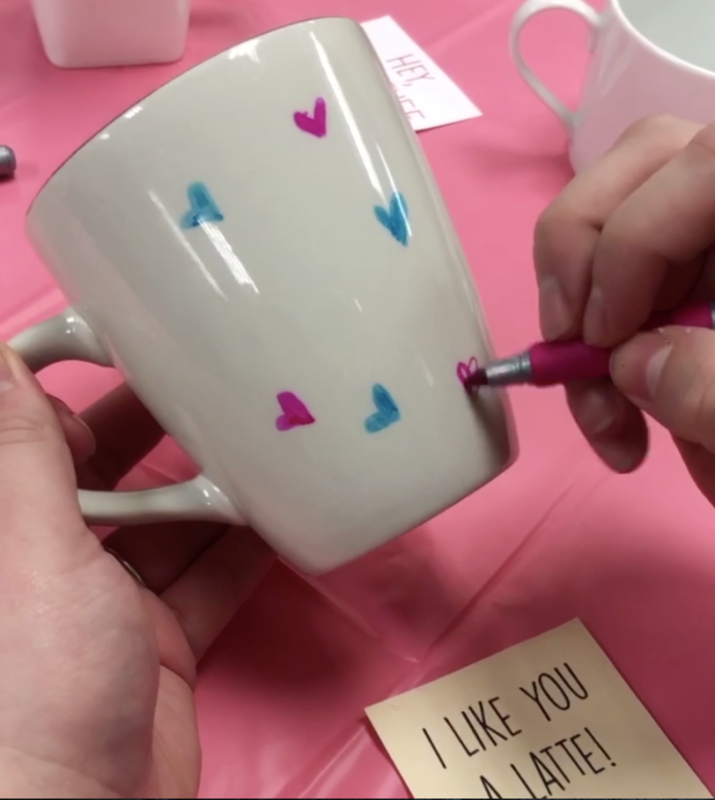 Once you have your hands on some cute mugs, pick out your favorite permanent marker colors and get creative! We chose to do cute sayings that pertain to Valentine’s Day. However, you can do hearts, swirls, an inside joke, really anything you want! Once you have your mugs decorated, it’s time to make it stick! Set your oven to 350° and let your mugs bake for 30 mins. Once they cool, the marker will stay put – even when you wash them! 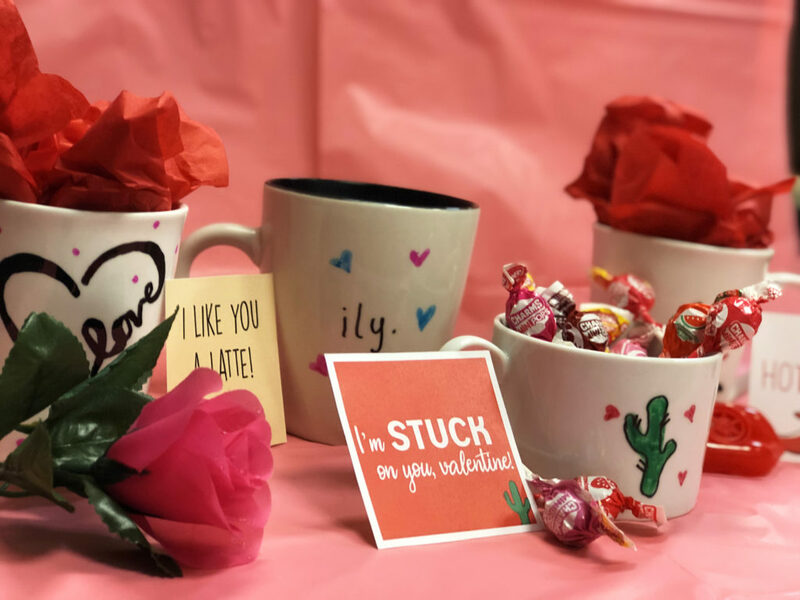 While you’re letting the mugs cool, click here to download the free printable cards we made for you! Click here to download the 5×7 version. Just print, cut them out, set them up with your mug, and you’re done! Don’t forget to take a picture and post it tagging #CCDIY, we love to see what you create. Happy crafting! © 2018. Caesar Creek Flea Market.